Eco-friendliness and personal finance are related. Our environmental and financial needs are the same in many areas: providing ourselves with sustainable, clean drinking water and food, for example. We also spend money through our own consumption and taxes in support of environmental security. In the past year, the U.S. has seen an especially devastating amount of natural disasters. And the U.S. was home to three of the world’s costliest disasters in 2018. Two of those were Hurricane Michael and Hurricane Florence, which racked up $16 billion and $14 billion in damage, respectively. Experts attribute the high number of hurricanes to unusually warm Atlantic waters, so it’s possible that living more sustainably and using greener energy sources could prevent us from having quite as bad hurricane seasons in the future. Discover (one of our advertising partners) claims to treat you like you treat you. But it’s still fair to wonder which Discover card – if any – you should treat yourself to. 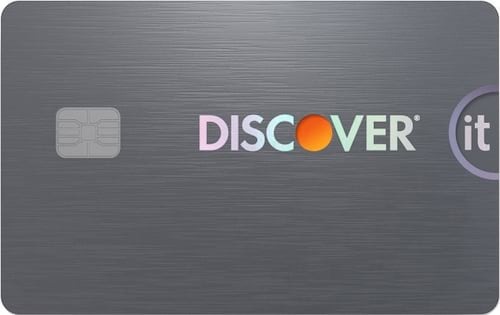 Because let’s face it: You don’t want the best Discover card; you want the best overall credit card for your individual needs. 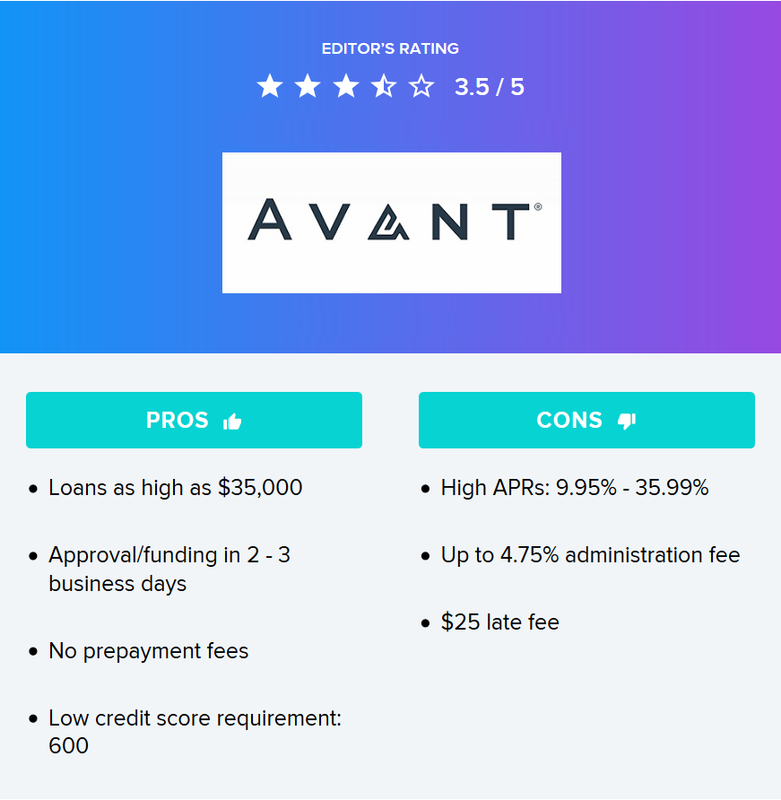 Quick Review: Avant loans are best for people with low credit scores. Avant only requires a minimum credit score of 600 to qualify for a loan. Avant loans are costly, though, so people with high credit scores may have better options. The minimum Avant loan interest rate is high, at 9.95%, and the maximum interest rate is 35.99%, one of the highest rates on the market. To put that in context, the average new credit card offer has an interest rate of 19.24%. Avant also charges an administration fee that can be as much as 4.75% of the loan amount. This fee will depend on such factors as the loan amount, loan period and your credit. America is undergoing an extreme makeover, thanks to rapid demographic diversification. By 2050, many shifts will happen. For example, while non-Hispanic whites are expected to remain the largest ethnic group, they will no longer make up a majority of the population. But America’s transformation is more than skin-deep — it’s economic, too. Not only have waves of immigration changed the face of the nation, they’ve also brought in fresh perspectives, skills and technologies to help the U.S. develop a strong adaptability to change. Economies generally fare better when they openly embrace and capitalize on new ideas. Conversely, those relying on old ways and specialized industries tend to be hurt more by changes in the market. The Verdict: The problems that destroyed your credit standing and are now fueling your search for an unsecured credit card likely don’t represent milestones that you’d care to remember for too long. 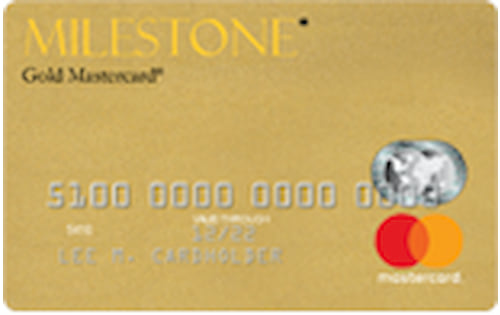 But the Milestone® Gold Mastercard® Credit Card (issued by a WalletHub partner) is a bit different, as opening it could prove to be an important turning point in your credit comeback. Bear in mind that this card is far from perfect. It charges an annual fee, and its regular APR certainly isn’t cheap. But when you compare those terms to other unsecured cards targeted to people with bad credit, that’s where things get interesting. Such cards often charge expensive “application processing” and monthly fees in addition to annual fees and boast APRs north of 30% to boot. Gun sales have been down since Donald Trump won the White House, with a 6.1 percent decline in 2018 alone. And while that’s good news to some, it could be a bad sign for state economies relying heavily on the firearms industry. By one estimate, guns contributed more than $52 billion to the U.S. economy and generated over $6.8 billion in federal and state taxes in 2018. Loved by marketers yet vilified by media, millennials are at once the most popular and unpopular generation alive. They’re projected to become the largest in 2019, too, giving them a huge influence on American culture and consumption. Today, these early-20-to-early-30-somethings who are often depicted through negative stereotypes — entitled, parentally dependent, emotionally fragile — are responsible for 21 percent of all consumer discretionary spending in the U.S. Yet despite millennials’ trillion-dollar purchasing power and higher educational attainment, they are economically worse off than their parents. Why? The financial crisis remains a big part of the reason. Millennials have come of age and entered the workforce in the shadow of the Great Recession, which has significantly reduced their job prospects and earning potential for decades to come. By one estimate, millennials today earn 20 percent less than Baby Boomers did at the same age. The Verdict: The Discover it® Secured (Discover is a WalletHub partner) is the it family’s credit-(re)building specialist, and it’s superb at the task. That’s because it’s one of only 11 “bad credit” credit cards with no annual, monthly or processing fees and one of only nine that offer rewards. You’ll earn 2% cash back on the first $1,000 that you spend at restaurants and gas stations each quarter as well as 1% on everything else. Better still, Discover will double whatever rewards you rack up during the first year your account is open. 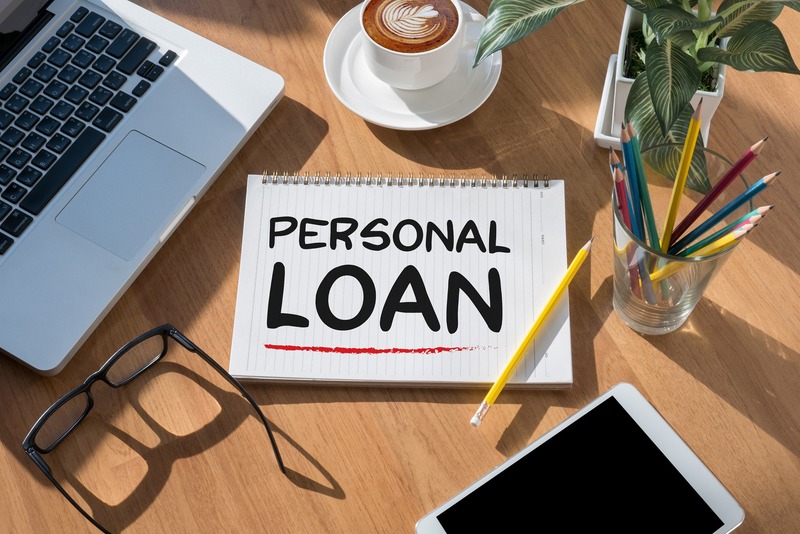 A personal loan is an installment loan that provides funds borrowers can use for any purpose, unlike an auto loan or a mortgage, which are reserved solely for the purchase of certain property that is then used as collateral for the loan. Personal loans usually are not backed by collateral, so they are often for lower amounts and have higher APRs than other types of installment loans. There’s just more risk for the lender. However, there are some secured personal loans available for people who want to put up collateral. Personal loans also have relatively short repayment terms, with most requiring full payment in 12 to 60 equal monthly installments. There are no Chase personal loans at this time. Despite the fact that Chase is one of the biggest banks in the U.S., they do not offer personal loans. They do participate in other types of lending, however, offering credit cards, mortgages, home equity lines of credit, auto loans and business loans. There are no Capital One personal loans currently. Capital One did offer personal loans in the past, but they don’t anymore. Capital One has removed all information about personal loans from their website, but existing customers can still call 1-800-926-1000 to reach Capital One’s personal loan customer service department. 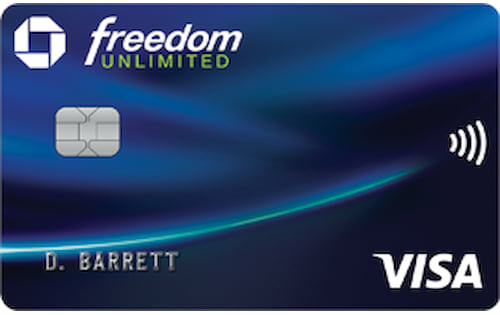 The Verdict: A name like Chase Freedom Unlimited® (Chase is a WalletHub partner) puts a lot of pressure on a credit card, hinting at boundless spending power and invaluable perks while building high expectations that are hard to live up to. But the only limitless aspect of the Chase Freedom Unlimited® Credit Card is your ability to earn 1.5% cash back on purchases. There’s no cap on how much you can earn, and those earnings won’t expire until account closing. Exception to this is the 3% cash back you will receive on the first $20,000 spent in your first year. The rest of the offer is pretty strong, if not completely free or flexible. 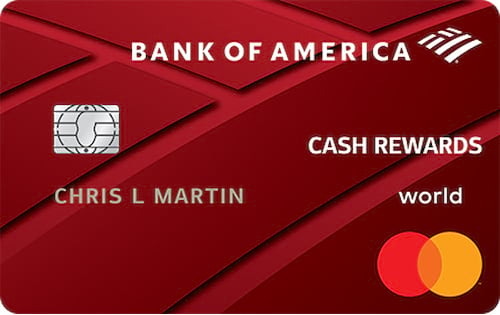 There’s a 15-month clock on the card’s 0% introductory rates, which apply to both new purchases and balance transfers. And if you transfer a balance, carry a balance from month to month after the 15-month mark or spend money abroad, you’re going to pay big. Bottom line: SoFi personal loans are great for people who want to borrow a lot at a low cost. 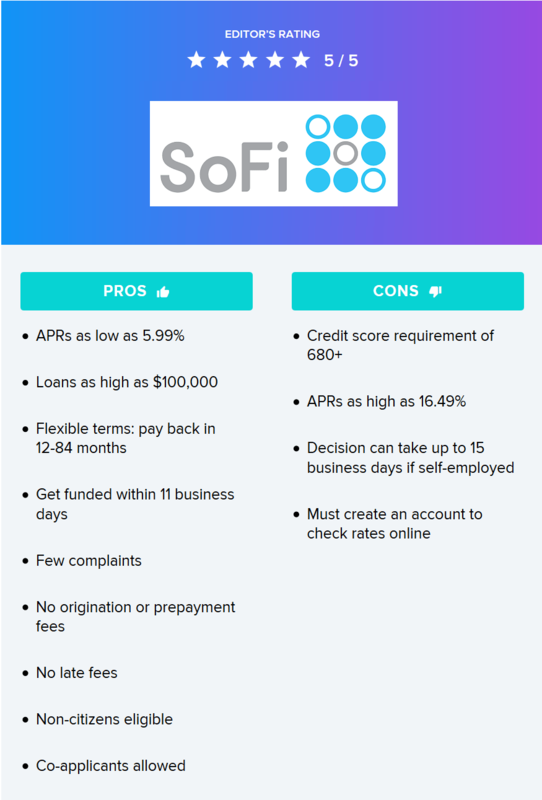 SoFi loans offer as much as $100,000 with interest rates as low as 5.99%, and only 16.49% at the highest. In addition, SoFi personal loans don’t charge any kind of fees, including late fees. 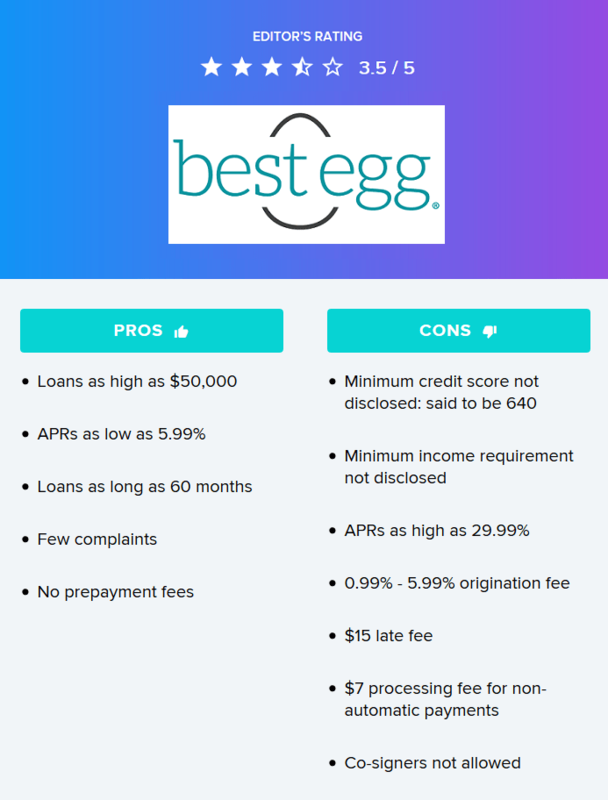 Bottom line: Best Egg personal loans could be a good choice for people with fair credit, as their minimum credit score requirement is reported to be 640. In addition, people with an income over $100,000 and a credit score over 700 have a shot at qualifying for Best Egg’s lowest rate: 5.99%. Bottom line: American Express personal loans are only available to people who have an existing American Express credit card account. Plus, customers must have been sent a pre-approved offer by Amex’s automated system. 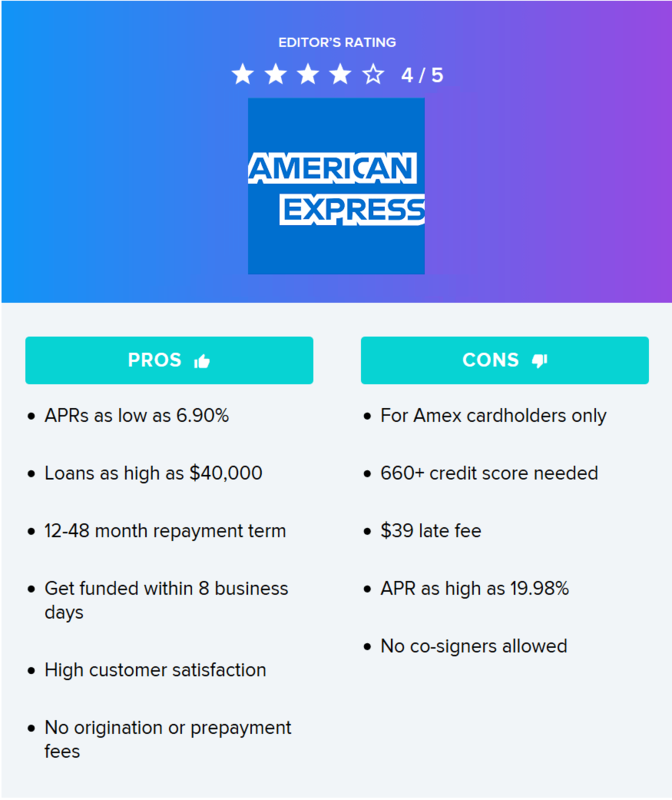 It takes a credit score of 660 or higher to get an Amex personal loan. College athletics generate nearly $1 trillion in annual revenue for the NCAA and its member institutions, yet relatively little of that goes to the real stars of the show. The average top-tier football or men’s basketball player earns his school roughly $200,000 per season, according to NCAA data, while being compensated to the tune of $14,000 in education, food and housing each year. And all of that can disappear just as quickly as an ACL can tear, as scholarships are not guaranteed. 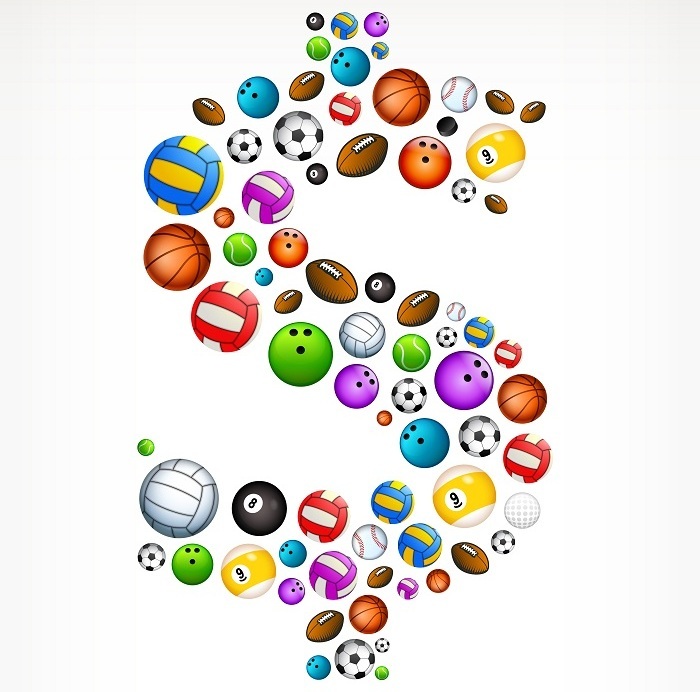 Meanwhile, more than 100 football and men’s basketball coaches earn more than $1 million per year, as do nine athletic directors and at least 30 school presidents, according to WalletHub research. Even teaching assistants make nearly $16,000 per year. On April 15, Uncle Sam will once again take his cut of the past year’s earnings. And many taxpayers are already wondering how that will affect their finances. However, since the tax code is so complicated and has rules based on individual household characteristics, it’s hard for the average person to tell. And with a new tax code taking effect this year, this year’s taxes will be quite different than last year’s. One simple ratio known as the “tax burden” helps cut through the confusion. Unlike tax rates, which vary widely based on an individual’s circumstances, tax burden measures the proportion of total personal income that residents pay toward state and local taxes. And it isn’t uniform across the U.S., either.